The Internet of Things (IoT) has pretty much arrived, where previously unconnected devices can now gather, store, and share data amongst each other and with users. According to McKinsey and Cisco, IoT will grow into an estimated $11 to $19 trillion (USD) industry by 2025. 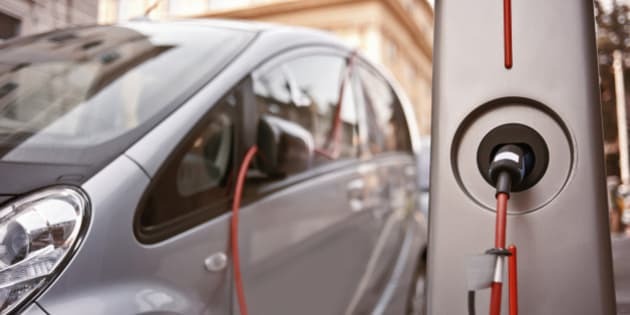 According to a report by Gartner Inc., there'll be over 250 million connected cars on the road by 2020. In addition, PriceWaterhouseCooper projects the connected car market to be worth $149 billion (USD) by that time. Along with the world at large, Alberta is hopping on the innovative bandwagon with over 100 charging stations in the province. As the adoption of connected car technology increases, so too will Alberta's infrastructure. With the connected car on the cusp of being commonplace, here are three major ways IoT is beginning to shape the automotive industry's future. According to a report by BI Intelligence, a research service from Business Insider, the driverless vehicle is only a few years away. And Tesla Motors' Model S is among the leading forces in this progression, with over 100 people already on the waitlist for its 2017 release in Calgary alone. It's most prominent feature, "Auto Pilot", governs acceleration, deceleration, changing lanes, merging with traffic, and overtaking cars without human interaction. But even with Auto Pilot, drivers must still be alert and intervene when necessary, since it doesn't obey stop signs, read traffic signals, or detect pedestrians or cyclists. Until recently, the biggest hurdle had been integrating Lidar--the love child of laser and radar technology. Lidar offers object-detection where Tesla's radar system doesn't, and performs well under less-than-ideal lighting, a noteworthy challenge for Tesla's camera system. For a while, Lidar technology ranged from $8,000 to $80,000 (USD). Earlier this year, however, a $250 (USD) solid-state Lidar system came out, making it easier (and cheaper) for machines to know what's going on in the world around them. But even Lidar isn't without flaws. It has trouble seeing through rain and snow, limiting its performance in these weather conditions. For driverless cars to fully eliminate human interaction, there will need to be a complete ecosystem of sensors and communications enabling total awareness in any road condition. Only then will Albertans be able to fully recline and listen to their favourite playlist during the morning commute. Tech companies are already playing an integral part in the auto industry's future. But will they eventually manufacture cars? Will car manufacturers transform into tech companies? Well, IoT is stepping on the gas (if you'll pardon the pun) and accelerating the two worlds toward that union. As big software firms continue to shape the connected car landscape, automakers are afraid they'll lose their customer control, where cars will "become commodity devices secondary to the software they run," according to a Deloitte University Press report. Some automakers are choosing to hold onto their own platforms, or withholding customer data from their software partners. Other partnerships are exploring open platforms for a greater personalized user experience. There are even software companies sidestepping the issue altogether, like Google, who has already built an autonomous car prototype. But car companies aren't only steeped in competition, they also need to prioritize security features for their vehicles in the same way tech companies safeguard their devices. And carmakers are already learning this the hard way, where last year Fiat Chrysler had to recall over 1 million vehicles to fix a security flaw in their software, which left their Jeep Cherokees vulnerable to hackers. Much like your smartphone or tablet, the connected car will have just as much software running on it, which means its operating system will receive a ton of updates regularly, on top of getting you from point A to point B unscathed. For two decades, car-makers have advertised innovations in their connected devices, but drivers are often reluctant to pay upfront costs for technology they either don't understand or see little value in. But the connected car is changing that. Tesla's Model S, for example, allows new car owners to either add the Auto Pilot feature upon purchase, or pay for an upgrade later. Innovative update systems make it easier for apprehensive buyers to add software after they drive their car off the showroom floor, and this could mean new opportunities for the auto industry. As more cars become driverless, car-makers can turn their focus toward other pursuits, thereby providing worthwhile content to vehicle owners. Navigant Research projects that automakers could rack up an additional $21.7 billion (USD) annually in revenue for alternative services by 2023. While that additional revenue stream won't only come from add-on features or infotainment systems, the estimate offers a good forecast for the possibilities surrounding the connected car. Amid the growing fervor around IoT's future, Alberta is on the front lines with Canada's first test site, combining real-world test environments and lab settings to mimic various road conditions. These state-of-the-art facilities allow world-renowned researchers to test and evaluate emerging IoT technology and educate the future generation of experts to come. Innovations in technology are laying the framework for safer roads, reduced pollution, and perhaps lowered blood pressure during the morning commute. IoT is already influencing how car-makers look at their products, how governments are bracing their infrastructure, and how Alberta, and the world over, is gearing up for more that's to come. But solid forecasts notwithstanding, it's safe to assume that IoT will create industry changes we simply hadn't foreseen. Saskia Matheson is the general manager at Esurance Canada. Esurance provides auto insurance direct to Canadian consumers and offers multiple insurance products in the U.S. including auto, homeowners, motorcycle, and renters.